Seven Sisters Publishing, LLC, 9781642556520, 318pp. Fourteen-year-old Callum Silver sees dead people. It's not a gift. His family thinks he's crazy. Sometimes he thinks he's crazy. He has no friends. He's forced to live his life surrounded by nothing but the searing pain, sickening smells and desperate moans that accompany the murdered ghosts who seek him out. When he's offered a place at Camp Wanagi, the ten weeks in the French countryside isn't a vacation, it's a lifeline. A way to meet others like himself and prove his ability can offer more than years of loneliness and expensive therapy bills. Run by a mysterious group known as the Oracle of Senders, Camp Wanagi brings together teens from around the globe who all possess the unique ability to see the dead. 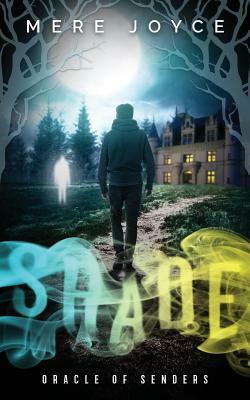 While Cal is relieved to find others like him, he learns quickly that not everybody experiences the spirits as he does. Some of the campers revere their abilities and don't understand his hesitation, while others--like quiet bookworm Meander Rhoades--have good reason for wishing they could get rid of their gifts. While researching their final project, Cal and Meander find an unmarked grave which reveals aspects of their abilities neither knew existed, forcing Cal to decide if the torture of seeing ghosts is worthwhile and, more importantly, if being a part of the Oracle of Senders is necessary, dangerous . . . or both.